Energy Trust of Oregon Net Zero Emerging Leader intern Matt Loudermilk grew up in rural Indiana and credits his small-town upbringing with a connection to the environment and focus on the urban-natural relationship. 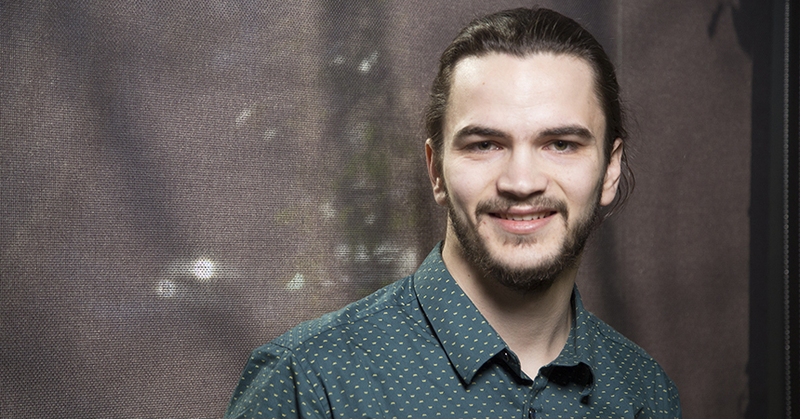 He’s now set to complete his master’s in architecture degree from the University of Oregon and is helping Carleton Hart Architecture (CHA) advance its AIA 2030 Commitment efforts. Armed with an undergrad degree in architecture from Ball State University, Matt’s desire to learn more about sustainability in the built environment brought him to Oregon. His mentors at CHA help link the conceptual principles of the classroom to the real world of design. Mentor Julia Mollner says AIA 2030 is important to the firm. CHA is constantly looking for ways to better serve clients and advocate for green building design. Matt’s work documenting energy metrics associated with projects helps the firm analyze energy efficiency and track progress towards its goals. As an aspiring architect, Matt aims to guide the profession in the right direction and be a part of the design initiatives that shape the built environment for the next generation.